You're in the beauty aisle, hundreds of options in front of you, and you can't decide which mascara or lip gloss will work best. You need reviews-- and you need them fast. 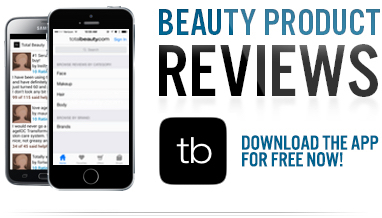 Download the FREE Total Beauty mobile app, which gives you access to more than 280,000 beauty product reviews! This way, you'll never make an uninformed beauty purchase again. Looking to switch up your hairstyle and need some inspiration? Enter HairStalker, a one-stop source that lets you search thousands of hairstyles seen on the hottest celebs in magazines and from the latest red carpet photos. Plus, the editors at TotalBeauty.com give you professional step-by-step instructions on how to recreate each hairstyle yourself (or, you know, you could just bring your iPad to the salon with you). It's the ultimate app if you're looking for a new cut, color, or just a fun style for your next Saturday night out.